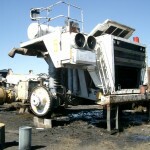 Brief: To provide a cost effective door to door movement of 2 x CAT 6090 Front Shovels from a remote site in Indonesia, to Perth, Western Australia, providing solutions for transport, packing and biosecurity services. 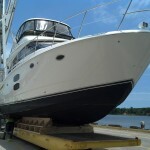 Brief: To ship a 2013 44’ Meridian luxury cruising yacht from Florida to Sydney. 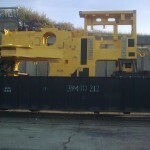 Brief: To ship two factory new, CKD Komatsu PC3000 excavators from Germany to Kazakhstan. 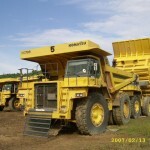 Brief: To provide cost effective door to door movement of 10 x CAT 793C dump trucks from a mine site in Chile to Bunbury, Western Australia, within specific, limited delivery parameters. Brief: To ship various machines purchased from Sri Racha area, to Brisbane, including mechanical assessments and responsibility for AQIS and DEH compliance. Brief: To safely and economically prepare and transport 5 units CAT777D rear dump trucks from Kobe in Japan to a nickel mine in Kazakhstan. Brief: Door to door movement of a 360 metric tonne barge from work-site at Yamaguchi, Japan to Port Adelaide, including refurbishment, Customs and quarantine clearances. 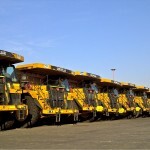 Brief: To identify and implement cost-effective, time sensitive, door to door delivery of 116 assorted Caterpillar machines from New Zealand to Australia. 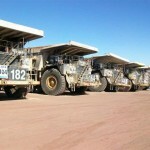 Brief: To provide cost-effective door to door transportation of non-operational, 95-tonne, used mining trucks – 4 CAT785 chassis and 6 CAT785 dump bodies – from a coal mine in South Africa to customer yards in Australia. 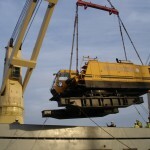 Brief: To identify and implement the best method of moving 8 Komatsu HD785-5, 70-tonne rigid dump trucks, from a coal mine in Samarinda, East Kalimantan, to Darwin, Australia.